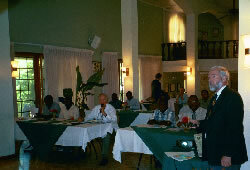 Bill Young conducted a program on photovoltaics for tourist industry representatives in Haiti. 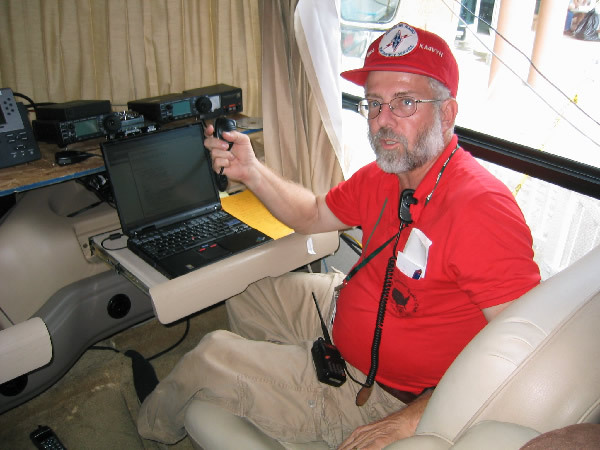 In 1981, the state of Florida created the Florida Association for Volunteer Action in the Caribbean and the Americas (FAVACA) to help Caribbean countries by providing multi-faceted consulting and technical expertise in such areas as agriculture, public health, environmental sustainability, disaster management, trade, elder care and youth issues. This was part of the state’s close association with many of the Caribbean countries and a way to direct volunteer resources to aid those island nations. Bill presented sessions on photovoltaics and former FSEC staff member Mark Thornbloom discussed solar thermal energy for 17 workshop attendees. All sessions were translated into French during the program. To determine actual energy needs and viability, site visits were made and data collected on resources, energy consumption and present energy efficiency measures. One of the major problems limiting economic development in Haiti is that utility-supplied electricity is unreliable, of poor quality and expensive. Much of the country does not have utility power, and those areas that do only have power for several hours a day. Utility distribution lines are not properly maintained and residential connections to the grid contribute to poor power quality. No fossil fuels are found within Haitian borders so propane, diesel and gasoline are imported and expensive. Gasoline is about $5.40 a gallon and electricity is about 32 cents a kWh, making commerce very difficult. 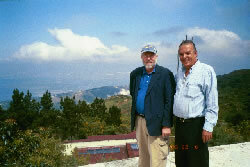 Philippe Villedrouin, right, gave Bill Young a tour of the PV and wind-powered Ranch Le Montcel Resort in Haiti.